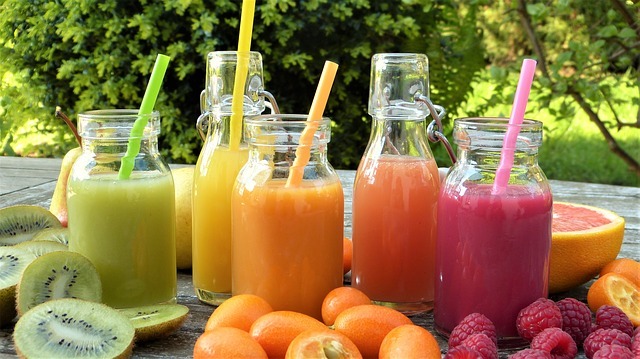 Summer is the perfect time to try various juicing recipes, right? But did you know that juicing can help you get rid of acne fast and naturally? If you have been trying to treat acne without attaining positive results, consider any of the following juicing recipes to heal acne breakout naturally. Most of us blend desired ingredients not for skin care but for other health benefits. However, juicing the right ingredients helps treat acne and improve the overall health of the skin from the inner side. Below is how juicing helps heal acne. Juicing also helps balance hormonal levels which in turn heals acne caused by hormonal change. Lastly, the ingredients used to juice contain varying vitamins and nutrients which are essential for the growth and rejuvenation of skin cells. Our first juice on natural solutions to heal acne is the stalks celery juice. If the V8 juice is your thing, then, you will love this green juice that is rich in vitamin A, C, and magnesium. Stalks celery juice also provides your body with essential nutrients and massive dehydration. Looking into the causes of acne, dirty blood can also be a possible cause. To make sure that this is not something to worry about, this superb juice purifies and detoxifies the blood. The juice is perfect when served cold. So, be sure to drop some ice cubes as you blend. If you are not so much into greens, this carrot juice will make a perfect match for you. It is a green-free juice that will clear acne and pimples leaving the whole of your body healthy and beautiful. Not to dwell on its amazing taste, the carrot juice is filled with great benefits from each of the ingredients, giving you a natural acne treatment remedy. Slice all the ingredients on a chopping board and run them through a blender. You can add some ice cubes to make the juice more delightful. Still working on the juicing recipes to heal acne breakout naturally, the beetroot juice is another capable remedy that will not only fight acne but also leave our skin looking gorgeous and beautiful. We all know how beneficial the beetroot is, alongside apples and cucumbers, this juice will definitely be of great help to our skin and overall health. The green citrus juice features a striking recipe that comprises of ginger, carrots, orange, lemon, and not to forget the kale which is the source of the green color. The carrot undisputedly provides vitamin A while the ginger comes in with its antibacterial and anti-inflammatory properties. Both the lemon and orange and citrus fruits which also holds anti-inflammatory properties and essential vitamins. To conclude our list, I am going to discuss this super juicing recipe that will rescue you from acne and other body complications. This recipe is basically a blend of cucumber, carrots, spinach, apple, and celery. Due to the rich and capable ingredients, we can tell from a distance that this juice is going to be very powerful and effective. Apart from just working on your skin, this super juice will detoxify and hydrate the whole of your system. If you have tried almost everything under the sun and still acne does not leave your face or back, it is the high chance you go for the juicing recipes to heal acne breakout naturally that we have just discussed. She is Megan Ann and She is chatting about parenting, family friendly activities, yummy recipes, family travel, and living a life full of love and laughter. She tries to write useful and informative articles to help you as much as she can with her knowledge about health and beauty. Check out http://meganannblog.com to learn more about her work.